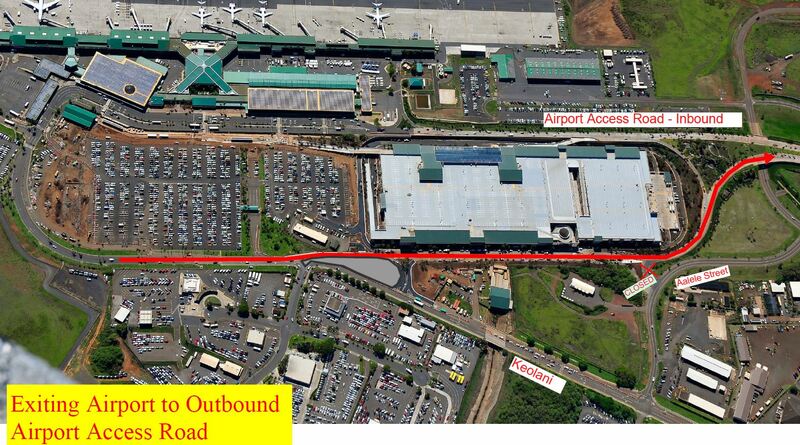 KAHULUI – The Hawaii Department of Transportation (HDOT) announces the permanent opening of the outbound lanes (lanes exiting the airport) on Airport Access Road at Kahului Airport. The opening will occur at 7 a.m. on Monday, Oct. 15, 2018. The lanes that will be opening are located on Airport Access Road, adjacent to the west side of the future Consolidated Rent-A-Car (Conrac). 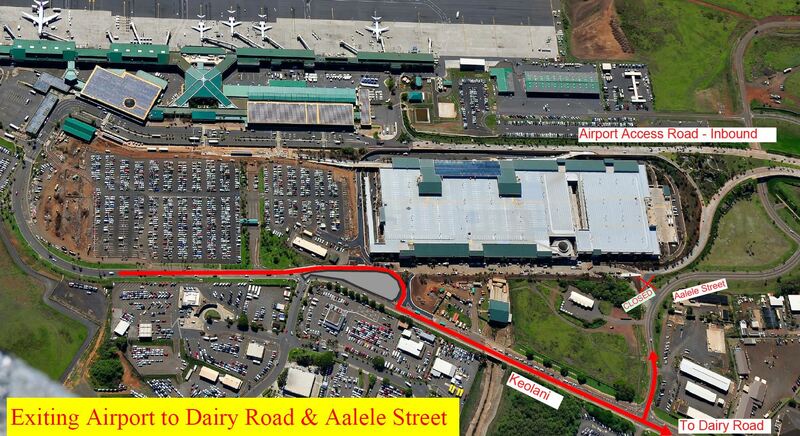 During this time, the connector road from Aalele Street to Airport Access Road (Lanui Loop) will be closed. 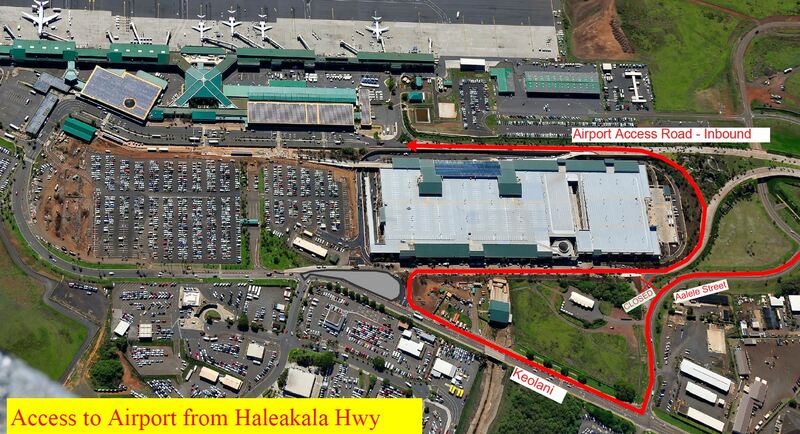 Signage will instruct motorists to remain on Airport Access Road to exit the airport area toward Hana Highway. The majority of Airport Access Road was opened in July 2016 and connects Hana Highway to Lanui Loop to promote the efficiency and flow of traffic. Following the opening, a portion of the outbound Airport Access Road remained closed to serve as an equipment staging area used for the construction of the Conrac. Traffic has been diverted around the closure via Keolani Place and Aalele Street to return to Airport Access Road using the connector road. The maps below show various traffic patterns entering and exiting the Kahului Airport area and the closure of the connector road from Aalele Street to Airport Access Road. The first map also shows the portion of roadway that will open on Monday. More information on the opening of Airport Access Road in 2016 can be found here. 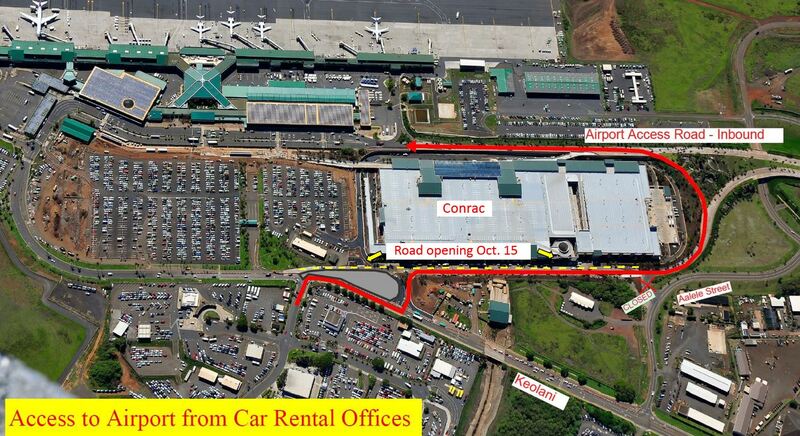 More information on the Kahului Airport Conrac project can be found here.